Shockproof EVA foam inner structure perfectly fit DJI Spark drone and 2 batteries. 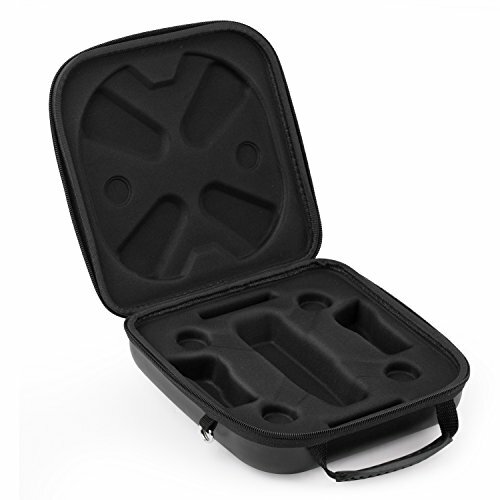 Made of high-quality PU+EVA material, protects your DJI Spark drone and accessories from scratches, shock and splashes. Delicate industrial design provides cool appearance and strong construction. Designed with comfortable hand grip and Shoulder strap, you can either carry it in your hand or on your shoulder. Water-resistant, durable, compact, portable and super light weight. If you have any questions about this product by Desel, contact us by completing and submitting the form below. If you are looking for a specif part number, please include it with your message.